With the decline of Cantopop, many local Hong Kong music awards have also begun to lose their credibility. TVB’s Jade Sold Gold Music Awards, which used to be one of the most prestigious music award ceremonies in Asia, took most of the bad hits, and each year has been looking less and less star-studded. But the JSG Awards, which started in 1984, have witnessed the highest and lowest points of Hong Kong music industry. The following are some of the biggest hauls in JSG history, recording some of the biggest Cantopop singers of all-time. Joey Yung should just retire from receiving awards and give other singers a chance. I mean thats what Andy lau, Jacky cheung, Leslie Cheung, Anita Mui did – they retired from receiving any awards….!! @shimmerstars its totally different scenario la compare to the past. Anyway, HK experience the lowest point in the music industry because of the song composer problem. They just could not coming out with better song compare to the past. Imagine if you put 4 heavenly king in this era, they still could not shine like in the past. I doubt they can get any good songs now. They can be so popular because of excellent songs they got in their time. Compare to the song now with the past, totally cannot compare lo. Omg. I remembered Sammi Cheng’s and Leon Lai era. Full of good golden ballads and dancing track. JSG used to be so so so important. But now???? Sud have just phase it off before it become worse than it ever is now…. This is another dumb article. 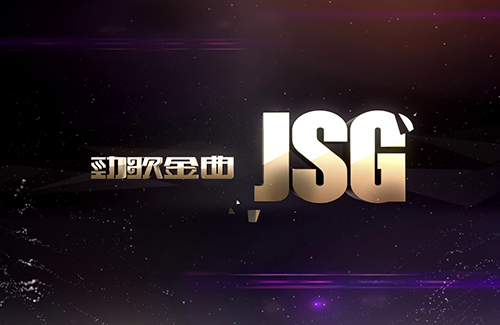 JSG is probably the least credible of all the music awards due to the fact that it’s the one awards ceremony where more than half the music industry doesn’t even get to participate – plus, with the music industry changing so much over the years and things such as the royalty dispute, TVB creating their own record label, the restrictive award eligibility criteria that TVB imposes, etc as well as so many artists having retired and/or announced they will no longer receive awards, it’s pretty much impossible to do this type of “JSG record-breakers” thing and have it be even remotely accurate. Basically, the numbers are going to be skewed no matter which way they try to slice it. And will the media stop touting how Joey Yung “broke” Anita Mui’s record for Most Popular Female Singer? (This particular article didn’t say so directly but most of the other articles did). The comparison is irrelevant, since Anita had taken herself out of the running decades ago when she announced back in the late 80s that she would no longer compete for awards – otherwise, she would’ve gotten the award so many times that NO ONE would be able to “break” her record. (Nothing against Joey, I just feel it’s disrespectful of the media to make such a comparison, especially at such a sensitive time with that whole auction debacle going on and the upcoming anniversary of Anita’s death). JSG was the “most prestigious music award ceremonies in Asia? ?” You gotta be kidding right? Can’t help but laugh at that line! @happybi Yea, I laughed too….there hasn’t been anything “prestigious” about JSG since like the early/mid 90s. The writer of this article was probably paid off by TVB or something, lol. Honestly, TVB should’ve canceled JSG Awards 6-7 years ago when the royalty dispute started and their awards ceremony pretty much became “exclusive” to EEG and their own affiliated record company (Voice Entertainment and its predecessor Stars Shine). To me, an awards ceremony that excludes majority of the music industry doesn’t even deserve to be in existence, but seeing how shameless TVB is, they will probably keep JSG going for the rest of time even if no one gives a care about the ceremony anymore. it’s really sad to see the fall of CantonPOP it was the leading music in Asia back in the 80’s 90’s and early 2000’s… KPOP took over the music scene and TVB started giving awards to their own label singer and artist and their best friends EEG. Not sure what will happen this year but i’m sure it doesn’t mean anything no more anyone can win now a day with crappy song. the jsg awards from ’85 till ’89 are the best. the battle between alan and leslie two most talented singers of cantopop and other exellent singers is a must watch for me in those times. after them the four heavenly kings era was also enjoyable.after them jsg awards lost their charm year by year. if you look at the singers and the songs nowadays and compare to those times then the difference is really heaven and earth. @kolo i totally agree with u. even to the reason years of nic tse or eason chen or daniel chan. now the singers are jus zzz. i honestly don even know a single song and who sang it now. how many are competitors of Joey Yung? all of them i feel are still apprentices. Canton pop is really dying. i used to love canto pop alot when there was eason chen, nic tse, etc. joey yung can win so many awards? why? she can sing yes i agree. but is she tat good? there is no fierce competition in the industry now. gone are the days of anita mui, sally yeh, kelly chen, sammi cheng, etc. like nancy wu, joey won cause there is merely fierce competition. Hins Cheung, Fred Cheng, Hubert Hu, Alfred Hui, Mag Lam, Joyce Cheng, Jason Chan, C All Stars, James all can sing. Hins Cheung is already a very skilled singing and his singing a lot of times can touch people’s heart. The others might not reach the the level of Anita Mui, Sally Yeh, Eason yet, but, they are still young. Give them the time. They will grow with time and experience. They have the talent and a good voice. C All Star is even writing their own songs. Cantopop is not dead yet. There are still talented young singers and bands who are serious about music around. It’s the matter of whether you choose to look at them or not. I also know more about 90s and early 2000s canto pop scenes than the current one because during that time, I’m still a student and have more time to chase this entertainment stuff. After I came out to work, I didn’t follow it much. But sometimes, when I do pay attention, I discovered new songs I like and discover new singers that can sing. I kinda feel bad for the current batch of HK singers. People just keep on reminiscing past and dismissing the current singers. How many of these people who dismissed them actually take the time to listen to their songs, to pay attention to their work? But, I admit it’s not all the audience fault. The music companies nowadays don’t know how to promote their singers and utilise their singers’ strength. If there were good songs for Ella Koon maybe she would be more popular now. Lastly, want to talk about Terence Siufay. All these while, my impression of him was all from the silly comedy he acted in. The impression was not good at all. But, my impression changed now after listening to him sing (for the first time) in 麥王爭霸. He sang so well.